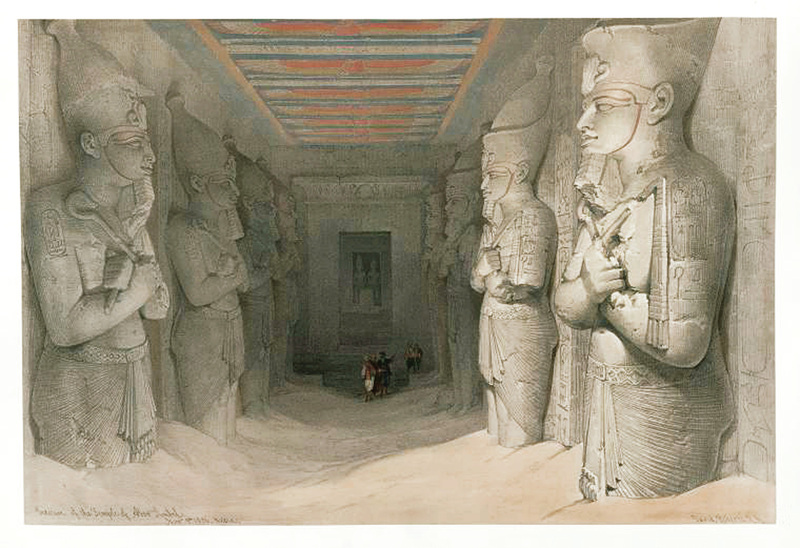 Comments: The finest of all the lithographs of temple interiors, and one of the most atmospheric of all of the prints. The columns are depictions of Ramses II, who deified himself through the construction of this temple. Price: $2,700 uncolored, $2,800 colored. Image: 13" x 19 7/16"